Ultimate Fist or Fist of God is a truly "divine" tool. With it, each block, with the exception of bedrock, are degraded with a "blow". Also Obsidian is mined in seconds. However, it has a great feature compared to other tools: It uses not in use, yet it can still be destroyed by lava and cacti. To crafting an "Ultimate Fist", you will need 7 diamonds and 2 leather in the arrangement shown below, but this is acceptable when compared to the enormous impact of this tool. 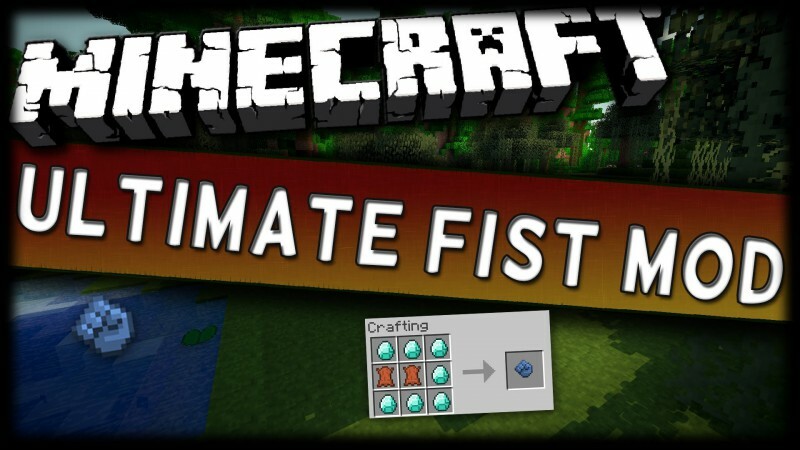 The "Ultimate Fist" is mainly used for building huge buildings or mines. Furthermore, the thumb can also be used to kill creatures. Just like blocks are also needed for each creature (with the exception of werewolves in the mod "Mo ’Creatures") a single blow to kill them (also applies to Ender Dragon).